WHEN: Thursday, October 29, 2015 at 5:30 p.m. 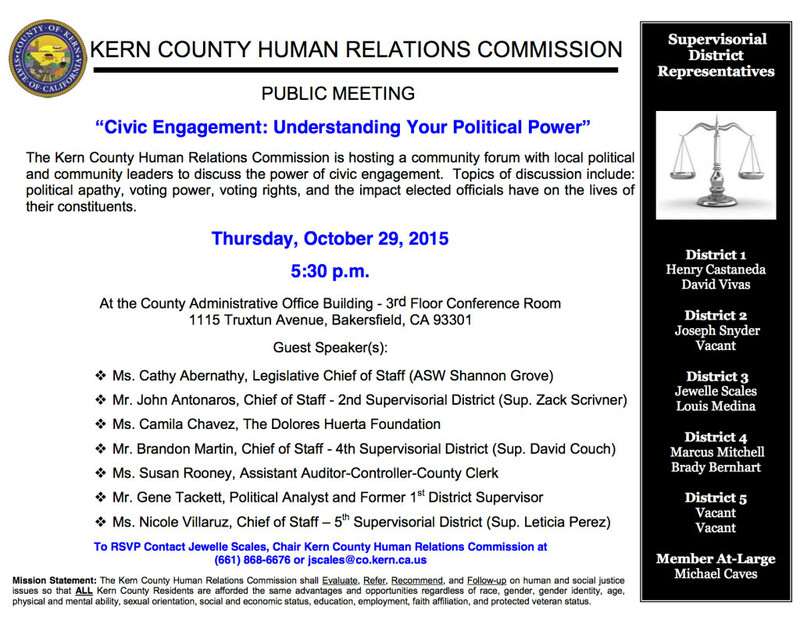 The Kern County Human Relations Commission is hosting a public meeting with local political and community leaders to discuss the power of civic engagement. Topics of discussion include: political apathy, voting power, voting rights, and the impact elected officials have on the lives of their constituents.